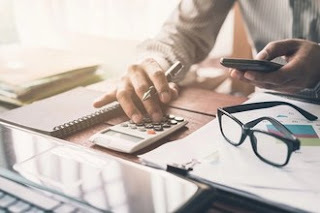 Getting your accounting degree is one of the best way to start preparing for a career in the Profession, but it’s important to maximize most of the time you spend in school. To maximize your education is as simple as thinking ahead and making a few good decisions. I believe that by now, You probably already know that it’s critical to choose your accountant training program from an accredited school, but what happens after you’ve been accepted to the college of your choice? Here, I will be giving out five tips to guide you on your way and help your accountant education program go smoothly. Getting an internship or working on a project for a company or family friend can be a wonderful experience that will introduce you to the world of professional accounting, offer opportunities to network and show potential employers that you can apply your accountant training to the workplace. government accounting and internal auditing, etc. Try to decide on a main area that would like to focus on during your Accounting training. It is incredibly useful to take courses outside of your accountant coursework that are still related to the field of Accounting. For example, you might consider taking a class in budget analysis or taxation to increase the scope of your knowledge. Knowing a second language will open innumerable doors In this increasingly global age. Accounting firms represent multinational companies and prize their employees who can communicate with these international partners.